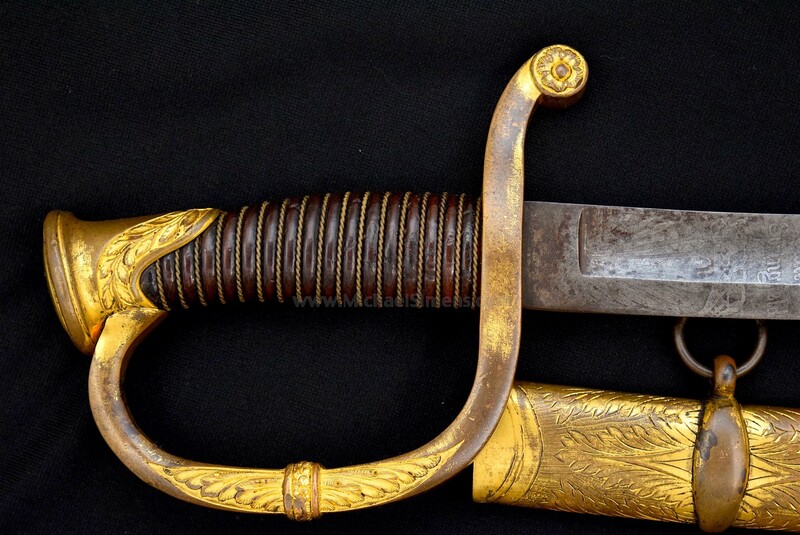 This is an extremely rare and HIGH-GRADE Ames Cavalry/Artillery Officer's Saber. I know a few collectors that have virtually every pattern of those military issues, as well as most of the other varieties of Officers Swords and Sabers by this manufacturer. Here's one they probably don't have. This is a custom ordered Model 1840 Ames Cavalry Officers Saber, and it comes with a twist. Whoever contacted Ames when ordering this sword, they asked for an Artillery Hilt. It was almost certainly ordered by an American Officer during the Mexican War and obviously not a standard model, but it is 100% original and I've had it personally examined by sword expert Jim Brown and sent photos to renowned collector Kevin Hoffman, who tried to purchase it from me prior to his untimely and regrettable passing. It's a one-of-a-kind and in beautiful, untouched condition. It was passed down through a family along with a London proofed and addressed Colt 1851 Navy Revolver. Sadly, they could offer no information on its source and I couldn't do any better than they in trying to research its original owner.. This sword was carried and does show it. But it was extremely well cared for and obviously cherished by its owner, who was probably a high-ranking officer. The blade is beautifully and boldly etched over half of its length on both sides with stands of arms and a patriotic eagle on one side and the Indian Chief Tecumseh on the other. 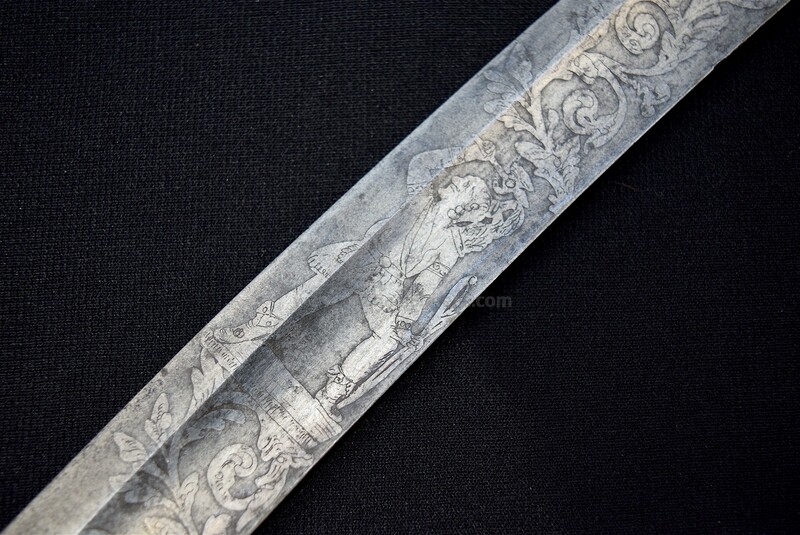 The blade shows staining but no pitting or corrosion, with some bright polish remaining. It has a perfectly clear makers etch on the right ricasso, "N. P. Ames / Cutler / Springfield". The leather grip and wire wrap is nearly perfect, almost looking like a piece of polished wood. 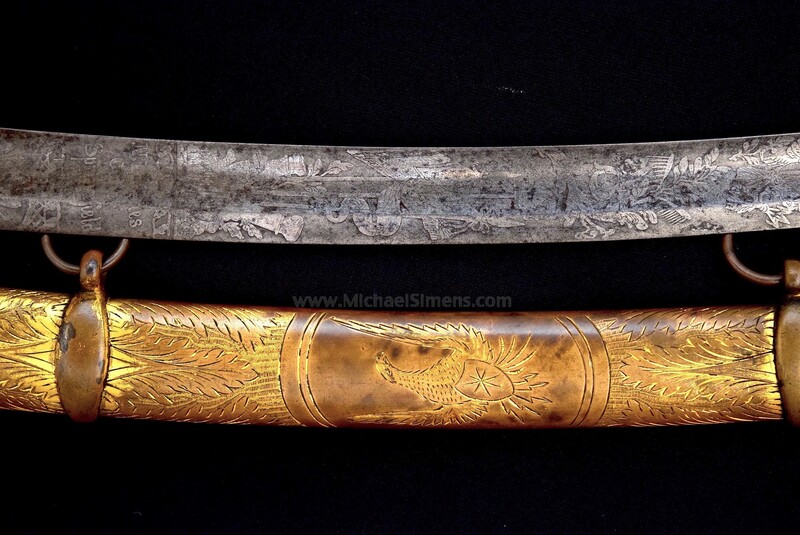 The hilt and scabbard body is equally impressive, with a deep rich patina to its engraved brass and brilliant original gold gilt scattered across its smooth surface, showing only a couple scattered, very small dents and/or scrapes. 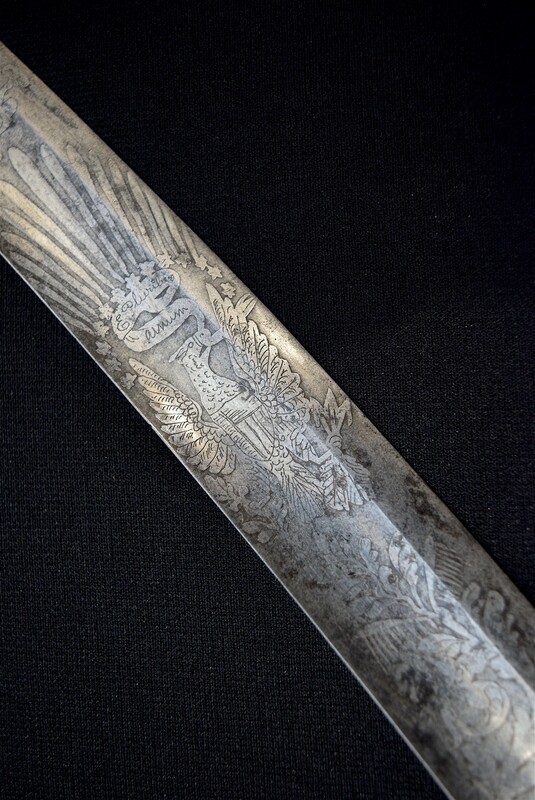 The scabbard is engraved with a spread-winged Military American Eagle with a Shield on its chest and surround with engravings of vines and leaves as are other areas around the mounts, drag and hilt. 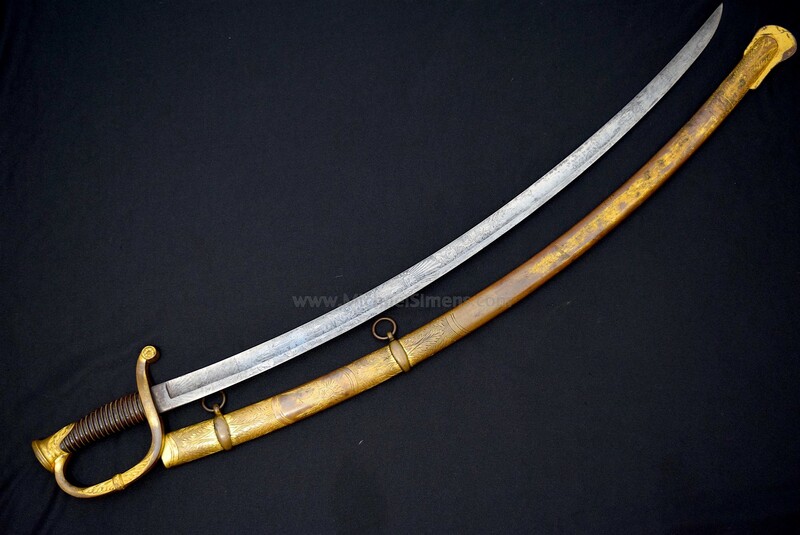 This is an awesome looking sword, in wonderful condition, but also showing its obvious use and 170 year-old age. The type that collectors really love.